Any bride who is planning on getting married wants to ensure that all of the nitty, gritty details are worked out before the big day. This means that the proper dress must be selected and tailored, that the floral and food arrangements need to be perfect and that the venue is ready for the big event. 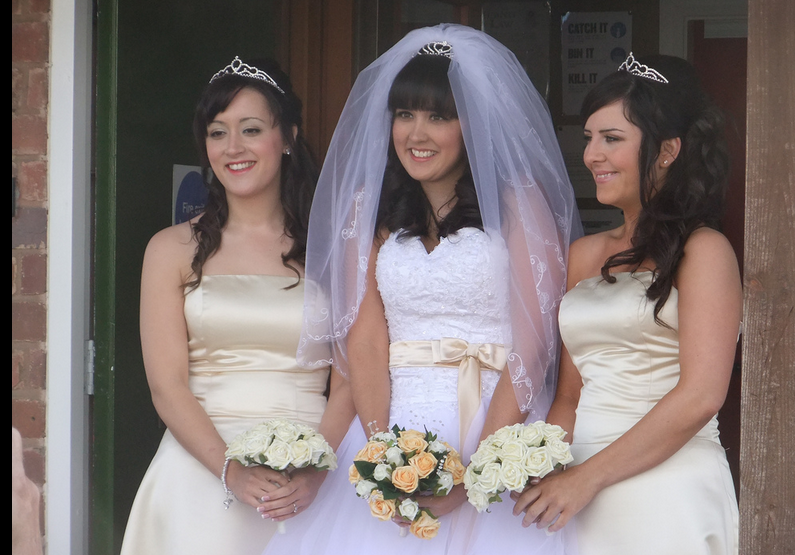 On the day of the wedding, however, there are plenty of details and issues that have to be handled – one of them is make-up. In order to impress the crowd and look great in keepsake photos, most couples want to have a make-up artist on hand to help with any finishing facial touches. Not everyone can afford this service, but technology has made it possible to fetch a variety of style tips and make-up hints from the palm of your hand. Below, we will discuss three applications for Android smartphones that can empower the bride, bridesmaids and others when it comes to wedding day make-up preparation. While you may be concerned with how your make-up looks on your wedding day, you must also consider the foundation – your face – and its condition for the event. After all, a face that is saggy, aging, rough or blotchy will be more difficult to correct with traditional make-up techniques. There are many beauty products on the market to help, but which ones work? You can find out more about what can help, thanks to the Beauty Product Reviews app. 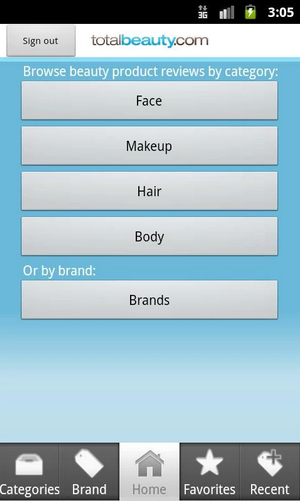 Available via Google Play for free, this application features hundreds of product reviews broken down by category. If you need to exfoliate or control acne, there are products in here that are reviewed in an unbiased fashion that can assist. No one should have to deal with the stress of covering up troublesome spots on the face with make-up – help minimize these problems via the Beauty Products Reviews app! Your face is a canvas, and it can handle all sorts of colors and pigments in order to achieve the perfect look. How will you know which ones are best for the occasion, though? 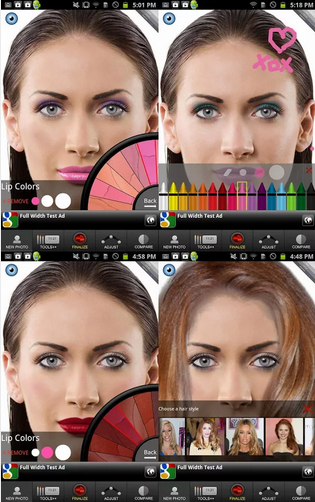 With the Makeup app for Android devices, you can get an idea beforehand. Available via Google Play for free, Maekup allows users to upload their own photos and experiment with a variety of foundations, lipsticks, eyeliners and other make-up accessories in order to achieve astounding virtual looks. Photos of your results can be saved and sent to friends, family and stylists in order to see if the style can be replicated. Nobody should have to worry about make-up application on their wedding day, but you can take some of the stress out of the equation with the Makeup app. 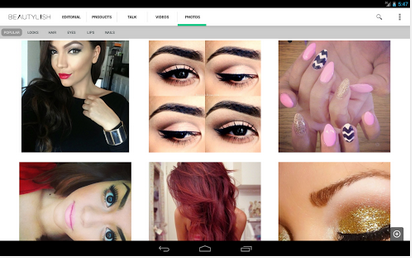 Another great solution is Beautylish, which is a free download from Google Play. Users of the app can view an array of photos that outline various make-up techniques and read tutorials to help them replicate the look. In addition to this, Beautylish also offers advice and information on a variety of other fashion and style methods that will help accentuate your wedding day look and make-up. Videos, forums and other interactive features are also included to help you get the most out of the learning experience. Author Bio – Jeremy Adler is the author of this article. He is a freelance blogger and currently works for Lior Diamonds, a leading retailer of engagement rings online. Jeremy is a technophile and likes to stay updated about the latest gadgets and apps.